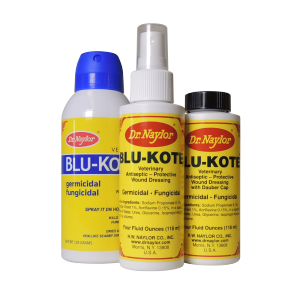 An aid in the treatment of foot rot caused by organisms susceptible to zinc sulfate. 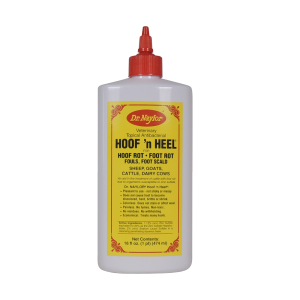 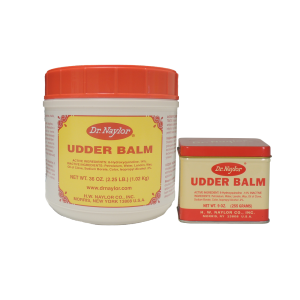 Dr. Naylor’s Hoof ‘n Heel goes deep so your sheep, goats, cattle and dairy cows can keep going. 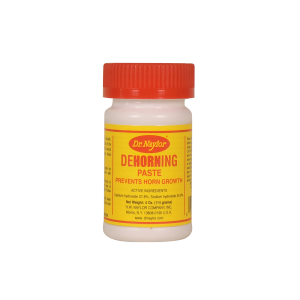 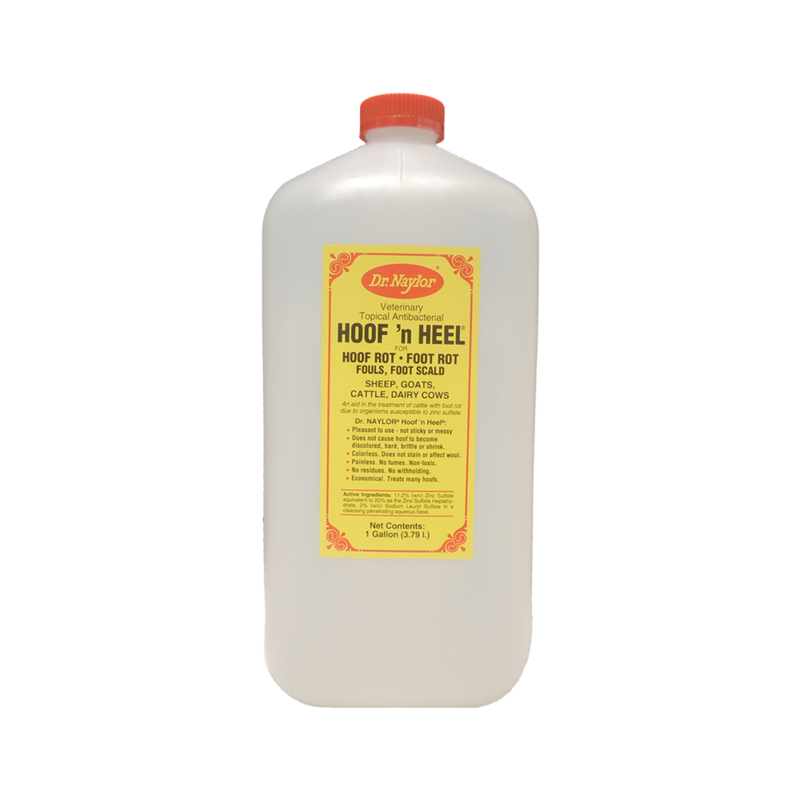 It penetrates deep into the hoof to attack hoof rot, foot rot, fouls, foot scald and to rapidly cure lameness. 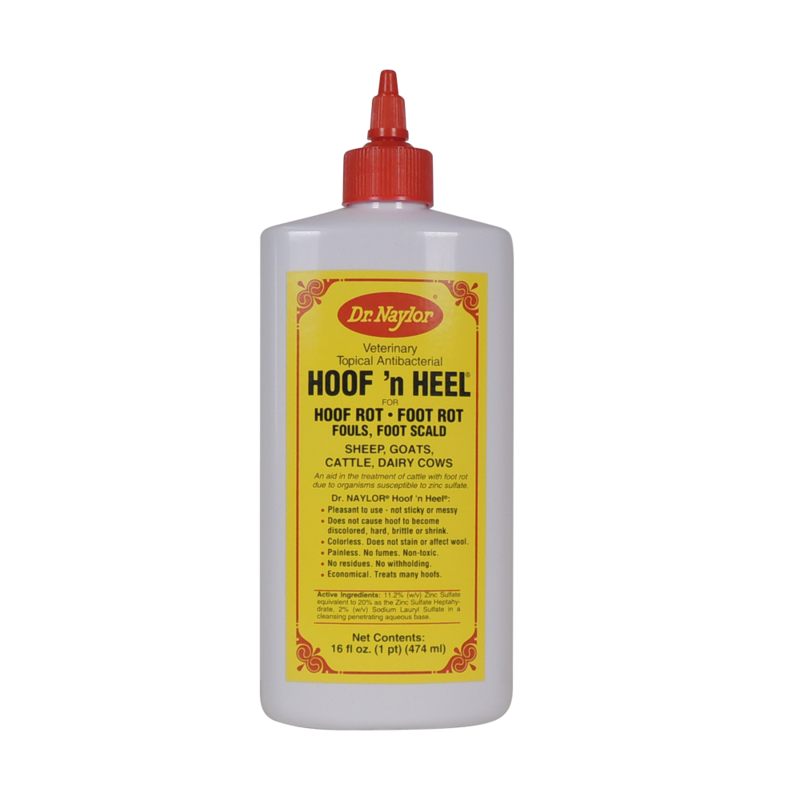 Dr. Naylor’s non-toxic Hoof ‘n Heel formula won’t cause discoloration, hardening, shrinkage or brittling of the hoof. 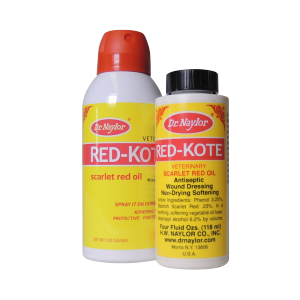 It won’t stain wool or hair, and leaves no residue behind.